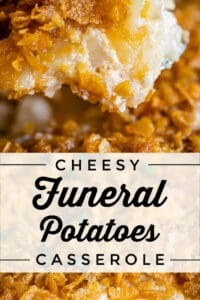 Why are they called Funeral Potatoes?? 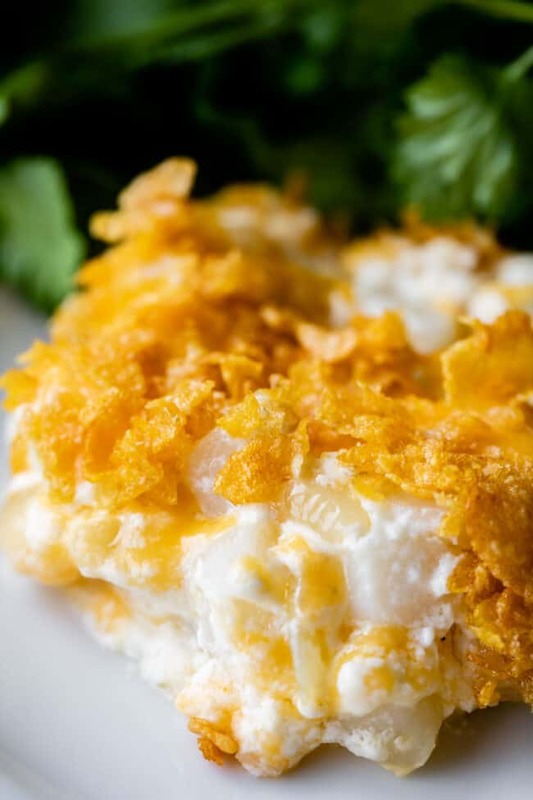 If you have never heard of Funeral Potatoes, you are in for a treat! 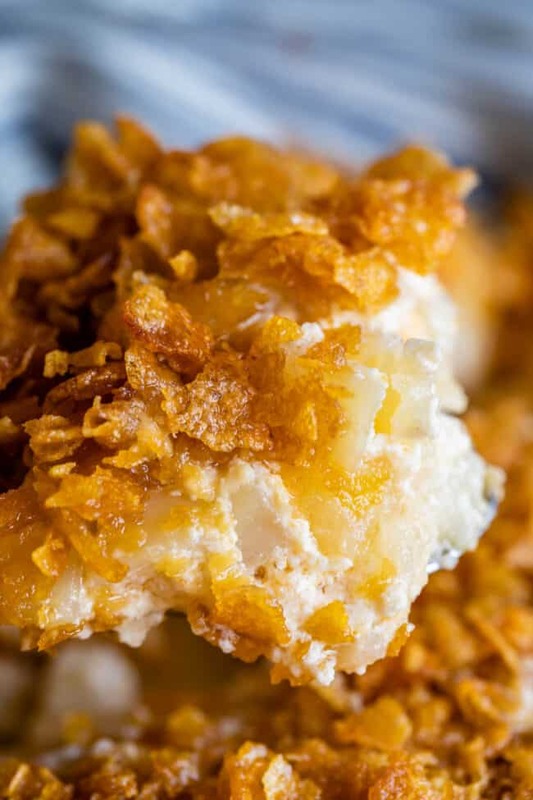 Picture this: diced potatoes mixed together with sour cream, butter, white sauce (or a can of soup - I include instructions for both), and tons of cheddar cheese, then baked to perfection with a crunchy corn flake topping. 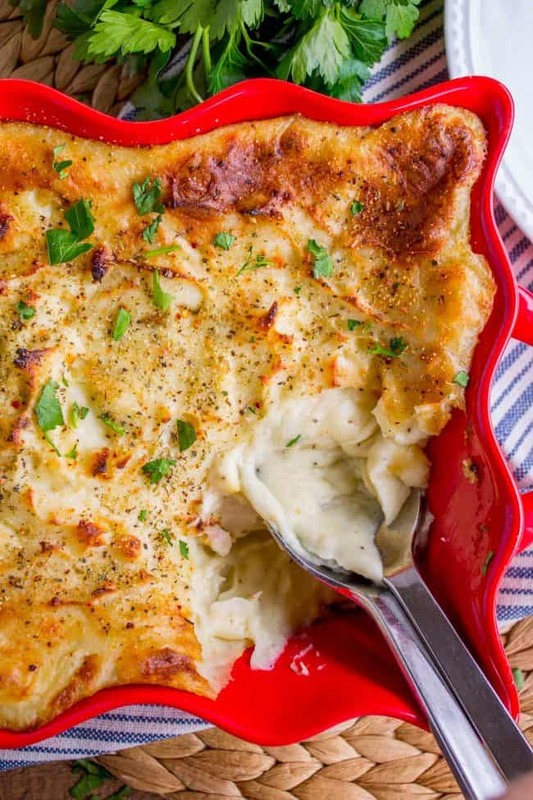 It doesn't get any better than cheesy potatoes for holidays! Embrace your middle American roots! Note: The following recipe is for the homemade version making your own white sauce. If you want the recipe using a can of cream of chicken soup, see notes below! If you have time, open your package of frozen hash browns and put it in a colander over the sink. Let the potatoes thaw for 2-4 hours. If you let them thaw, the potatoes will turn out slightly softer. 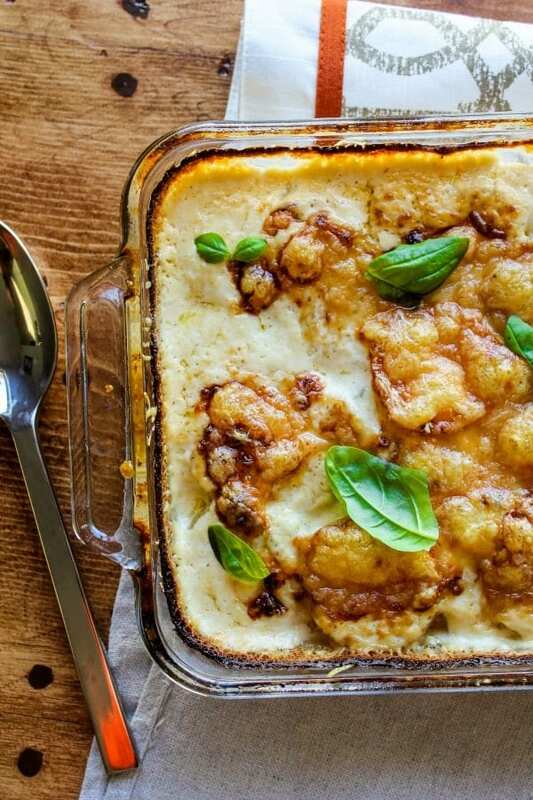 If you are in a hurry, you can add the potatoes to this dish completely frozen (I tried it both ways). The potatoes will be slightly more firm but they still taste great. I do recommend thawing if you have time. 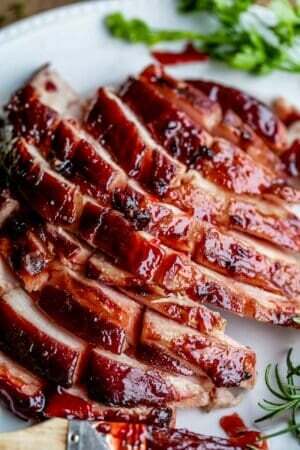 Preheat your oven to 350 degrees F. Spray a 9x13 inch pan with nonstick spray, or rub with butter. In a large bowl, melt 1/4 cup butter. 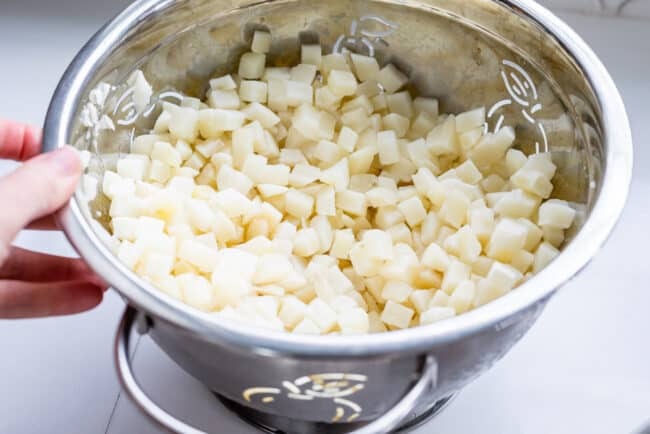 Add the potatoes (thawed or frozen) and stir together to coat with butter. 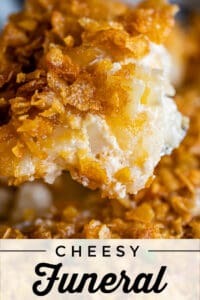 Add 2 cups of cheddar cheese (pack it well) and 1 and 1/2 cups sour cream. Make the white sauce: In a medium skillet, melt 1/4 cup butter over medium heat. Add 1/2 an onion, chopped. Let the onion saute in the butter for about 3-5 minutes, until they are starting to look translucent. Add 2 teaspoons garlic and saute for 1 more minute, until fragrant. Add 1/4 cup flour a little bit at a time, stirring constantly. (Incorporate the flour into the butter by stirring, then add a bit more, etc.) Once all the flour is added, continue to cook over medium heat for about 1 minute to cook out the "raw" flour taste. Slowly add 1/2 cup chicken broth, using the same method as before. Add a little bit while stirring constantly, and once it is incorporated, at more. Do the same thing with 1/2 cup milk. Stir the mixture until all the liquid has been absorbed. You should have a thick white sauce. Season with 1 teaspoon salt and 1/2 teaspoon pepper. Add the white sauce to the potato mixture. Stir it all together. Add the potatoes to the prepared 9x13 inch pan. Spread evenly. In a medium bowl, melt 1/4 cup butter. In a small bowl, add 3 cups corn flakes. Use your hands to crush them a little bit. It doesn't have to be perfect, some larger flakes is okay. Dump the corn flakes into the bowl with the melted butter (and wipe out the small bowl and put it back in the cupboard.) You could also crush the corn flakes in a ziplock bag if you prefer. Bake (do not cover) at 350 for about 40-50 minutes, until some of the corn flakes are starting to brown and it looks bubbly around the edges. Let sit for a few minutes to settle and then dig in! This goes really well with ham. 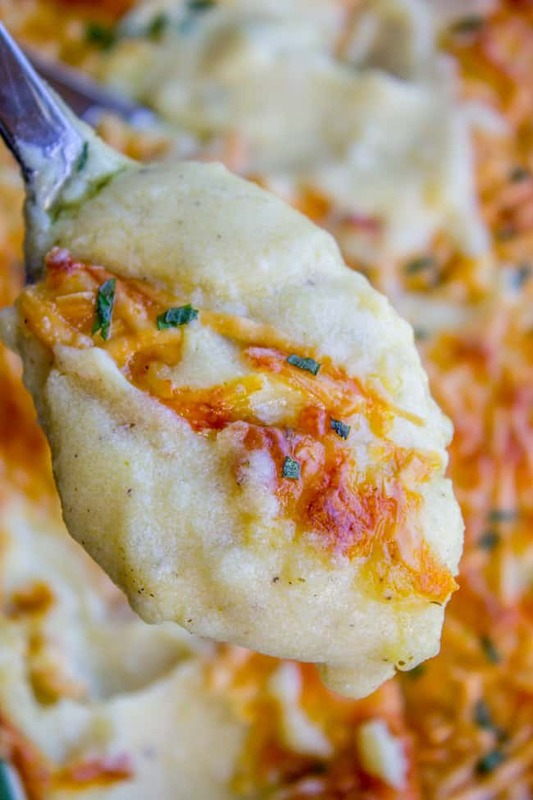 More cheesy side dishes you are going to love! More cheesy potato goodness from friends! 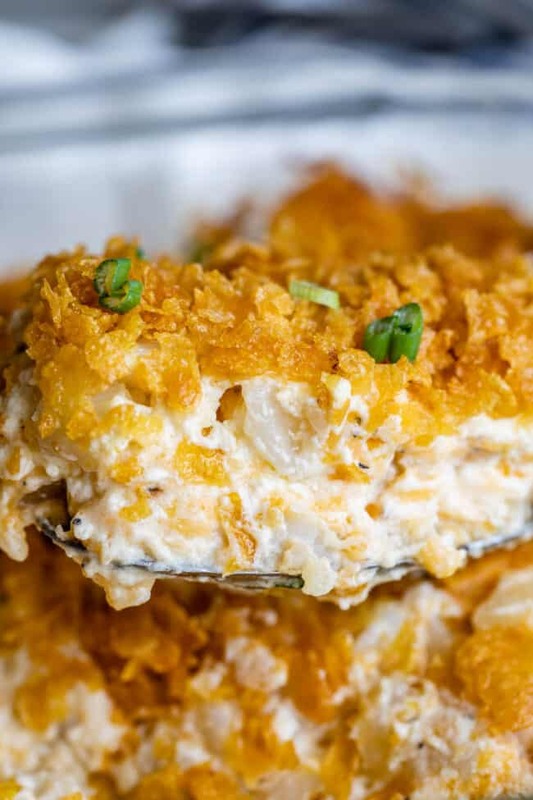 I just have to say when your mom walks in and asks “What are you making?” Don’t say “funeral potatoes” lmao. 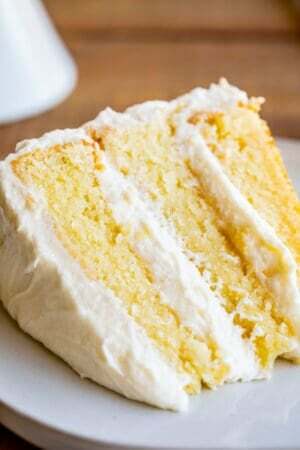 This recipe is delicious and I’ll be making it on Easter thank you so much! haha!! Shock of her life I’m sure ;) I hope everyone loves it for Easter!! Enjoy! P.S. 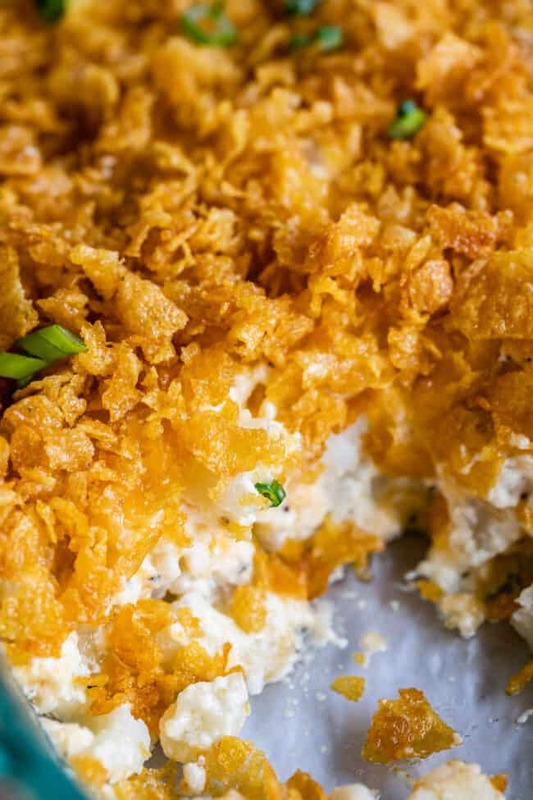 I refuse to call these “Funeral Potatoes!” Potato Casserole works just fine for me. I like these SO MUCH better with the frozen (thawed) shredded hash browns, instead of cubed. The texture is much nicer. Thanks for the input Taylor! I’m partial to cubed hash browns, but I’ll have to try it with shredded next time! I’ve had these but they were called Texas Potatoes! I agree with you about the basic white sauce vs canned soup. I use white sauce with some chicken bouillion crystals added when I make the green bean casserole. It truly is a much better flavor, in my opinion, than the canned soup. Love your recipes…my husband doesn’t want to eat pecan pie any other way, now, since I made your reciped with the cream cheese layer. I noticed you specify sharp cheddar when making homemade white sauce and use less sour cream. When using canned soup, do you recommend sharp cheddar as well? Party coming up this Saturday. I’ll let you know how it goes. Thanks again for the suggestions. You’re the bomb! Yes, I still say that. Hi Pamala! Great question! No, I just made a mistake, I use sharp cheddar no matter what, I will go change the recipe right now! The reason I called for less sour cream is because the amount of white sauce this recipe makes is a little bit more than a 10 ounce can of soup. (It’s pretty close, but not exact. Also homemade sauce is not as thick). So I decreased the amount of sour cream so that there wasn’t an overwhelming amount of wet ingredients, if that makes sense. On my first test, my white sauce amount was even larger than this, and it made the corn flakes sink into overly soupy potatoes. No thanks! Hope this makes sense, let me know how it goes! Side note, one time I made these and didn’t have any cornflakes so I scrounged around and found some Sun chips (the blue bag flavor) and ohhhhmygosh it was a game changer! I can’t make them any other way now! Try it sometime! Party Potatoes!! Haha! 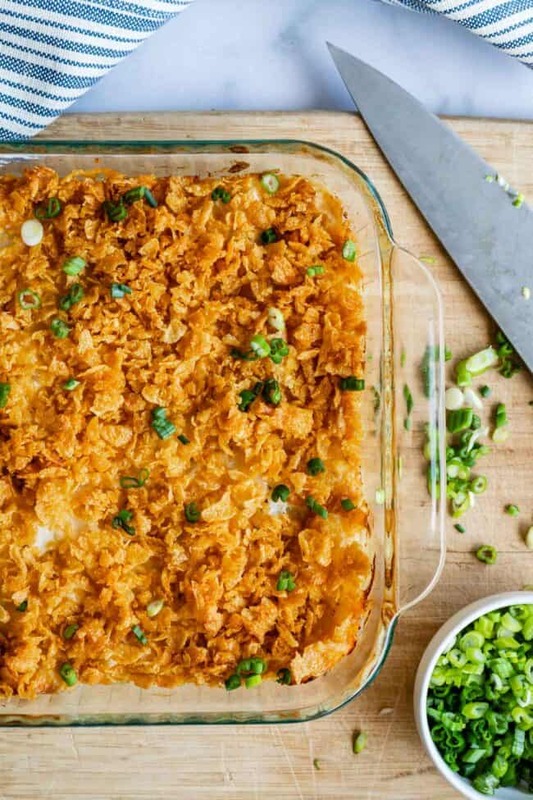 It sounds a lot more festive than Funeral Potatoes that’s for sure ;) LOOVE the idea of the sun chips, I should have mentioned that you can use basically anything you want for the crispy topping. I’ve heard of people using potato chips, crackers, etc. Basically you add butter to anything that’s already crispy and it’s going to be delicious, right?? Thanks so much for commenting Kelly! 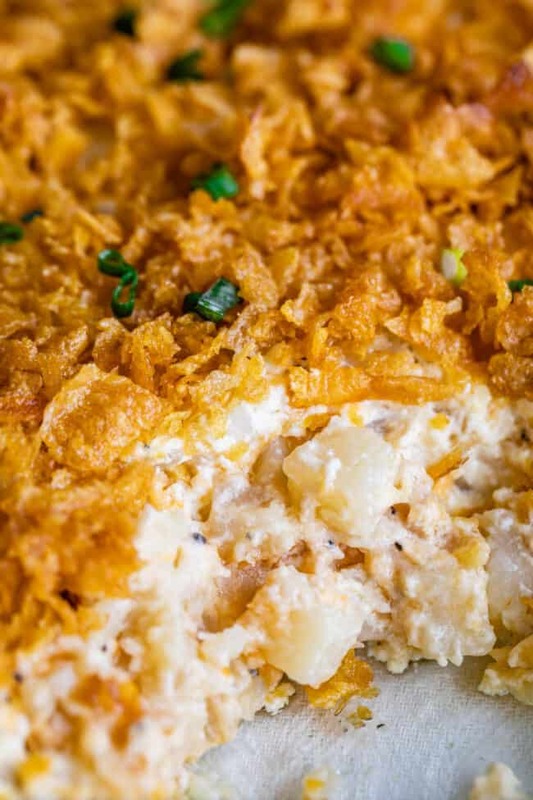 Funeral potatoes forever! !